High above London, men and women were at play in 1938. Back then one could shoot guns and play golf on a rooftop. "Above we see an office Rifle Club on the top of Strand House. 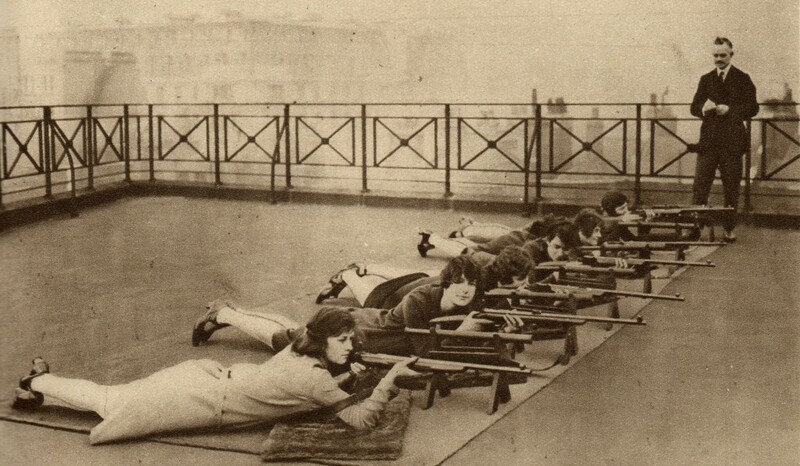 The rests beside each markswoman hold telescopes for examining the targets. Doubtless the narrowness of modern skirts prevents the correct splaying of the feet." "Above is the only golf course in the City of London. 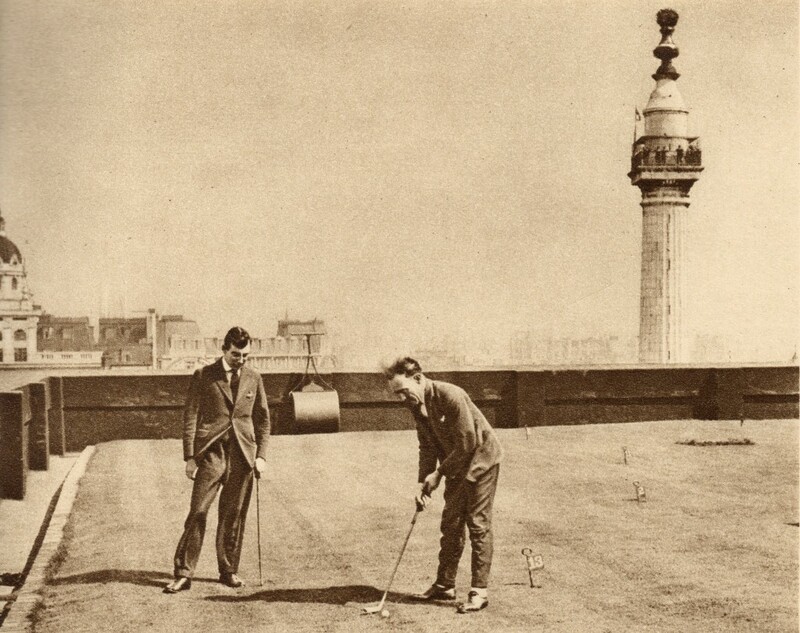 An excellent putting green has been laid out on the enormous roof of Adelaide House, by London Bridge. The temptation to bring a driver and bombard the shipping in the Thames must be great. There is a fine view of the play from The Monument." There are more vintage photos of London, dogs, street scenes, all sorts, on my Facebook page.